My permanent web address is daniel-azuma.com. Follow me on Twitter at @danielazuma. You can also view my resume online, but be aware that I’m not currently open to changing employment. 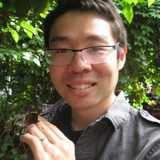 Daniel Azuma is a software engineer living in the Seattle area. He works at Google, writing developer tools and cloud services, and he is also known for his work with location and geospatial technology. This is the website and blog of Daniel Azuma, a software engineer in the Seattle area.